I loooove these velvet pumpkins, don't you? They are popping up everywhere now and are just gorgeous! The Love Feast Shop makes these incredible pumpkins, as well as acorns and mushrooms. How would you like to win this set valued at $84.00? When we discovered these velvet, plush pumpkins piled high and beautiful, it was love at first sight. It didn't take long for the LoveFeast girls to know these plush beauties would be the foundation of their shop. This combination of colors were put together with exclusive velvet colors, special for our LoveFeast Trio and found only in our boutique. The velvet Plush Pumpkin LoveFeast Trio includes 6" Sage, 5" Mushroom and 4" Sangria. Each pumpkin is finished with a natural, organic stem. We think velvet, plush pumpkins will make a great addition to any fall table! Please visit their site and like them on Facebook. Come back here and leave me a comment letting me know you did so. I will pick a random winner and announce it right back here on Friday. Remember, you do not need to have a blog to enter. Just make sure I have an email address so I can contact you if you win! Thank you Love Feast Shop for this wonderful giveaway! I tried, but there wasn't an option to "like" them, but instead "friend" them, which I did! Love these pumpkins and your blog! Love the pumpkins and the acorns, adorable! Love them! Thanks for the chance to win. I follow them on FB. Lots of cute stuff in their shop. A girl can never have to many "velvet pumpkins"! Oh the sweet acorns and mushrooms are my favorite. Fingers crossed and thank you for the opportunity. Love the pumpkins....and the acorns!! I "liked" them on FB and I love the pumpkins! The acorns and pumpkins are so cute! Great store. I liked them on FB and visited their website. Adore those squishy pumpkins! I liked them on FB! What a great site! I wonder if I can convince them to giveaway the turquoise ones? Haha - no, they are really all very lovely. I viisted the site and will order some acorns and pumpkins. They are great for fall. Love love love their stuff! Already liked on FB. Thanks! Liked on Facebook and visited MANY times.. What a wonderful FALL giveaway.. I hope I win! I adore these pumpkins and have been coveting them for quite some time! Thank you so much for the opportunity to win a set. I like them on FB, I visit their site often to yearn longingly (everything on there is totally drool worthy!) and my email is in my profile. Oh those pumpkins are to DIE for! Love them! Thanks for the chance to win them... YES LIKE on Facebook!!! They are beautiful! Just the right look for autumn decorating. Love the pumpkins--what a great giveaway! Pick me, Pick me :). I liked them also on facebook. love those litle velvet pumpkins! also what a cute shop. thanks for the chance to win. Love the shop....i have been eyeing those pumpkins for a whilenow ! So cute! I like them on FB! And in real life too! Those are so pretty! I "liked" them on Facebook and visited their website. I love all the beautiful colors they come in. So pretty! These are so cute. I liked LoveFeast table on FB. Love these pumpkins and I visit the shop often to "drool" over all the beautiful goodies! LOVE these beauties! They are such nice touch of fall and I would love to add a few of these to my south Florida fall decor! It is tough to feel fallish when the temps are still in the 80's, but I am willing to give it a try! These velvety soft pumpkins can only help! Thanks for this chance to win! What a cute website- perfect for getting in the mood! Love these pumpkins! Liked Love Feast Shop on FB. I love these and hope to win. Put me in coach. I "liked" them on facebook - love the pumpkins. It would be great to start a collection and add to it each year since more is definitely better. oh my, I have been eying these! So beautiful! Visited and liked! Love their product! I guess they have 2 fb pages... liked them both! ..love the velvet!! !thanks for the chance! My sister has been pining over these pumpkins. I would love to gift them to her if I win !!! I already 'like' them on Facebook and I lovelovelove the pumpkins!! Wow do they have some cool stuff! Love their pumpkins and their mushrooms and there was a deer rack I'd love to have too! I visited them and liked them on facebook. I love this set ! 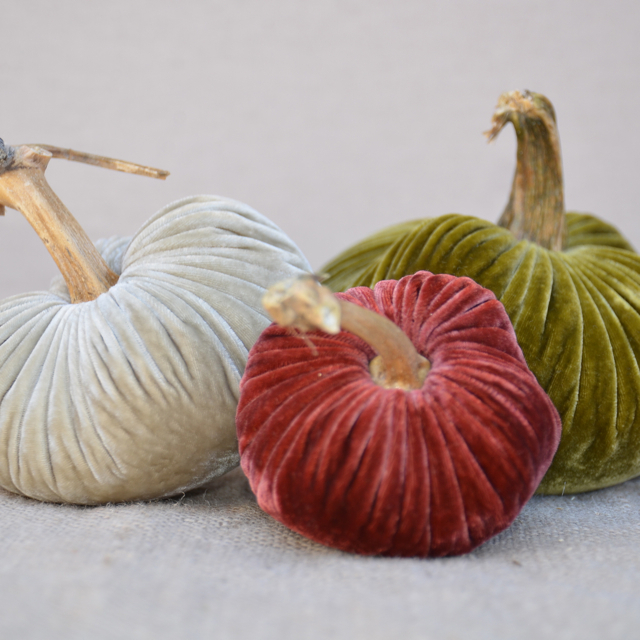 I've seen these velvet pumpkins and love them...want them! Liked on Facbook. Please toss my name in the hat and I'll keep my fingers crossed! So pretty! I liked them on facebook...There's no "love!" button! Thank you for the chance to win! Super cute and would make a perfect addition to my apartment's fall decor! Visited their site and liked them on FB as well! The Pumpkins are just amazing, I have seen these before and Love them. There is something special about something so organic in velvet! I want them too! I liked them on FB. I love their pumpkins and acorns. So cute! I liked them on FB; these are so pretty! I would love to add these to my fall decor! Done! These are just so darn cute! Wow, I liked their facebook page. They have beautiful products! I checked out their site and "liked" them on FB! I love the pumpkins!! I soooo love these!!! I love all the different colors they come in---some would even be great for Christmas decorations. The acorns are just precious! I've visited their site & liked them on FB. Thanks for the giveaway. I LOVE the velvet pumpkins. I went to the website and liked them so maybe I can win those soft, velvet pumpkins for my home. Luv your website and visit often. My most favorite post of all is when you revealed your daughter's bedroom after the redo. I thought it was the most precious post ever. I liked them!!!! I love these pumpkins and have been debating whether or not to buy them...but winning them would be great!!! I liked them but I really love them! Love your blog also and visit often. oh how I adore velvet pumpkins....seriously...LOVE THEM!!! I already follow them on Facebook! And I love their shop. I hope to own some of for myself . . . very soon! I "Liked" on FB! Thanks for the chance! What fun pumpkins! I tried to like them but couldn't find where to but I too "friend" them. I've wanted some of these since they first became popular years ago! What a fun shop they have...I love those velvet acorns in a nest. Thanks for featuring that shop. These pumpkins are gorgeous!! I love the shades or orange purple. I would love to have one of them to go along with my Autumn decor! What a wonderful giveaway! I love all of their stuff! Thanks for the chance. Oh yes, I liked them on Facebook. Great give a way ! I liked them....and I asked to be their friend. I hope I win! Love these! I have been trying to win some on a few blogs lately, but no such luck! done and done! Love those pumpkins! I am in love with Love Feast on Facebook and thier website! I love all of the trios of pumpkins especially with the heirloom looking quality! Already did that. They are beautiful, aren't they? And so many colors and cute stuff to choose from! great giveaway! Love your blog! Been loving these pumpkins for a while now. A pile of these would look great anywhere. They're beautiful, and would be a wonderful addition to my fall decor. Thanks! So beautiful and in so many beautiful colors, both organic and exotic...sigh. I visited the site cause I'm already a friend on facebook. Love love love these pumpkins and the little acorns too. I already like them on FB so here I am to say please enter me!! I was just thinking about these amazing pumpkins yesterday...they are so wonderful. Liked them! Love them...need them! Beautiful...everything there is just Beautiful. Gorgeous and I really would love to add some to my home! All requirements met-hope I win!! I follow LoveFeast on FB as Nicole Krebs Balogh. I love these pumpkins! My facebook name is Cherie Wargin Barnaby. Thanks for the opportunity. Hoping I win! I Like Love Feast Shop on Facebook. love the beautiful colors! thanks! Love the acorns and the pumpkins!! Liked them on facebook. Love their site, and yours!! I love them:) Love the aqua ones!! I like them on facebook. Drooling over these pumpkins! Liked them in fb! I love love these pumpkins...I can see them in my home and I shall dream about them too! I liked them on FB as well! Thanks for the opportunity! Pamie G.
I have been wanting some of these forever. So awesome! I love these pumpkins so much! The velvet is so glamorous! 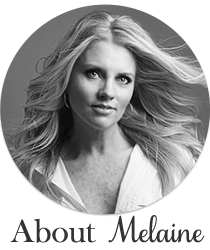 Thanks Melanie for this opportunity!!! "I would rather sit on a pumpkin and have it all to myself, than be crowded on a velvet cushion." - Thoreau With these you get both! I thought I had run the gamut on velvet possibilities, until I saw these. So lovely! I'm crossing my fingers! I liked them! And love those pumpkins! I checked out their website... beautiful items. Love your blog, as well. Thanks for the generous giveaway opportunity. I love the velvet pumpkins but have never been able to afford them. I would love to win a set from you.I have checked out their site and drolled over everything they have. thank you for sponsoring this give-a-way! I love their site & I did like them on FB. Their creations are luscious! the colors are amazing and the acorns are so sweet. i follow them on fb because i love love love their pumpkins! I love their stuff! I already like them on FB. The website is beautiful! I love the rich color choices for the velvet pumpkins! Thanks for the chance to win! Of course I like them on Facebook. These pumpkins are amazing! I have admired those beautiful velvet pumpkins for a long, long time. And those cute, adorable acorns are to die for. Drooling over the white velvet pumpkins, went a different look this fall with my decor and these would be an awesome addtion to the mix...maybe I'll be the lucky winner! Thank you for chance to win! จีคลับ Online gambling game sites that offer a variety of ways to play gamblers. Full on every day bets. To gamble all kinds of casino slots, roulette and gambling games are all good. Make more profits. Play gamblers well, have fun, give players the answer instead of playing as you like. There are bets that will give the player a fun experience. To play well, there are gamblers to choose from. Make more money this way. Have a good bet Gambling is fun. Make more profits. The bet was great fun every day.